Su carrito contabilizará 199 ME punts para canjear en futuras compras. 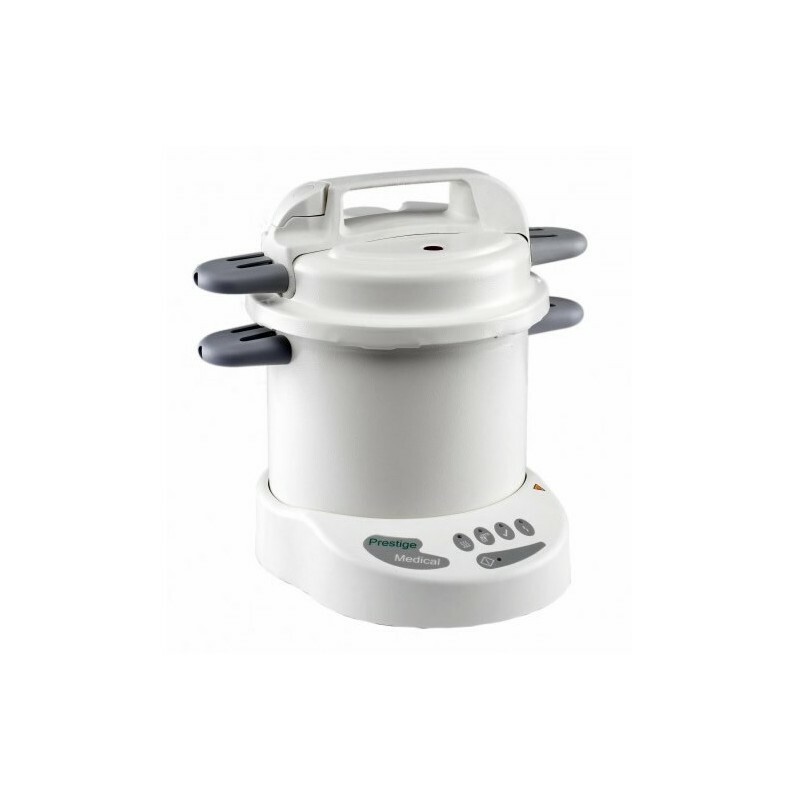 Lightweight, compact and portable autoclave for sterilization of many instruments. With light indicators sequence and safe operation. Steam sterilization with autoclave is the preferred method to eliminate the risk of cross-infection from contaminated instruments, and the only one recommended throughout the world by health professionals, including the WHO (World Health Organization) and CDC (Centers for Disease Control). The Autoclave Classic 2100 Series continue to offer the best price / quality ratio for the preferred method of sterilization in the world. During the course of the years, the autoclaves of the original 2100 Series have gained an enviable reputation worldwide for its reliability, durability and convenience in the sterilization of a wide variety of instruments.